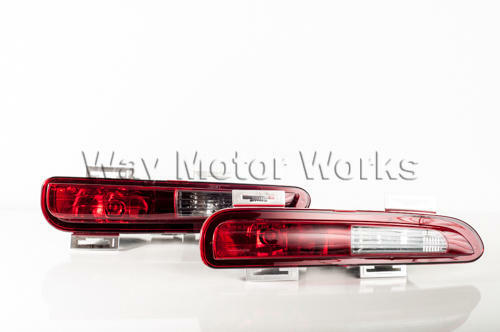 Blackout Reverse, Rear Fog Lights for 2010-1013 R56 MINI S, R57 Cabrio S, R58 Coupe S, and R59 Roadster S. If you like the smoked or black look these are a must have. These Blackout reverse/rear fog lights have have a smoked look to them, rather than the stock ones that have very white and bright look. These will ONLY fit Cooper S rear bumper NOT JCW Bumper. And are a factory replacement light with NO bulb warnings after install.